Specialising in engine cylinder head repairs. Part of our daily work sees us also doing a large amount of cylinder head repairs, especially where a combustion chamber has been completely destroyed. In the case of cam belt & or valve damaged heads, we reconstruct the combustion chamber and all relevant areas to as close as what it was. This is an extremely slow and time-consuming process that requires a huge amount of care and concentration and is not always successful. You have requested that this cylinder head to be repaired and SAC Engineering has done exactly this. It is normally far more expensive to replace the damaged cylinder head with a new one. Repairing this damage is the economical route and while it is only one of the options available, you need to know the risks that go with this choice. This applies to all welded cylinder heads. In order to repair this damage, we have needed to expose the cylinder head to excessively high temperatures. Aluminium and/or cast iron welding generates heat that far exceeds any combustion temperatures. The head is normally pre-heated in an oven and is cooled down after all the welding and associated heat in its own natural way. The properties of the aluminium and/or cast iron have undergone changes and are no longer what they were or should be. Hand finishing a combustion chamber after extensive welding is a time-consuming process and while we will always attempt to match the combustion chamber to the original one, small changes can be found in the shape and size. We have found repaired combustion chambers to be one or two cc’s bigger or smaller than the original. To make them exactly the same is virtually impossible. It is also very important to find the cause of the initial failure or it will more than likely happen again. More often than not it is not the right choice to repair a damaged cylinder head when it requires extensive welding. More often than not together with cambelt and or valve damaged heads we also have a lot of heads that have damage caused by overheating in one way or another. This damage is usually in the form of a crack or multiple cracks in various places on the cylinder head. Mostly, however, these cracks occur when the material is hot and a lesser temperature coolant arrives at the hot area. 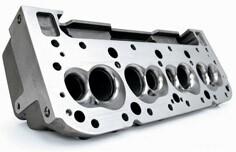 Mostly we are able to repair a cracked cylinder head. This is detected by way of a pressure test. Once again the head is heated up and between 5 & 10 bars of pressure is applied to the coolant area of the cylinder head, if there is a crack evident it is made visible by very small bubbles in the water that is used for this testing. Crack detecting is not only done with pressure testing we also utilise some state of the art crack detecting spray procedures that show a crack when the spray is applied, when air or moisture is evident in an area. We also do various types of welding on cylinder heads, mostly metal filling and stitch type welding whether iron or aluminium. 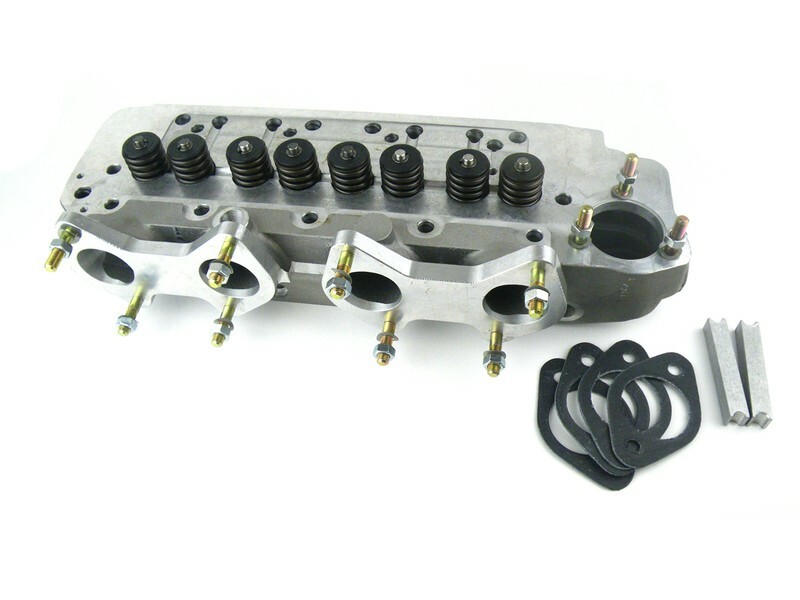 Another commonly used cylinder head repair process involves the drilling & pinning of a crack. This process can only be used in rare applications. Cylinder heads in modern motor vehicles will get cambelt & or valve damage which is normally related to cambelt failure and or incorrect valve timing. 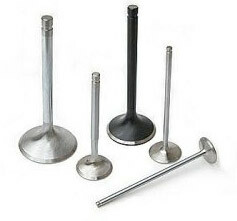 If a valve comes into contact with a piston for whatever reason, this normally results in the head breaking off the valve and or being caught between the piston and the combustion chamber and because the piston is travelling at very high speeds extensive damage is eminent. Once a cylinder head has been welded or repaired it is standard practice to skim the cylinder head gasket surface. The skimming process usually only removes a very small amount of material which is caused either by welding or slight pulling of a cylinder head. This means that the gasket surface is no longer true or straight and needs to be skimmed or restored to its original shape. Over the years, we have repaired many cambelts and or valve damaged and or cracked cylinder heads on a wide variety of vehicles including Audi – BMW – Ford – Mazda – Noble – Nissan – Toyota – VW (Volkswagen).